With the current aggressive approach by the OFCCP in investigating compensation, we want to make sure that our clients are equipped to use the COMPARE Compensation Analysis Software. We just posted four video tutorials that teach the COMPARE user how to more effectively use the software. These tutorials may be viewed now at BCGi – our HR EEO training website. 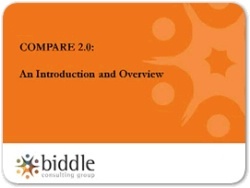 Biddle created the COMPARE Compensation Analysis Software to assist Federal contractors and proactive organizations in conducting multiple regression analyses of their compensation data. It is specifically designed to address the multiple regression-based analytical strategy embraced by the U.S. Office of Federal Contract Compliance Programs (OFCCP) for federal contractors and subcontractors.